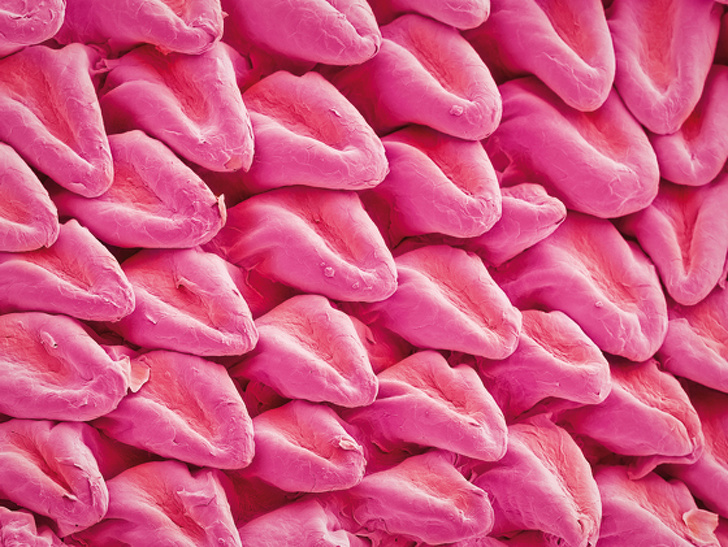 Cat’s tongues have always fascinated me with their sandpaper-like qualities. As it turns out, they’re even more amazing when viewed close-up. It looks like it’s made out of dozens of smaller tongues! Although we think of sand as just… sand, it is actually the tiny remnants of tons of different rocks and minerals from the ocean. 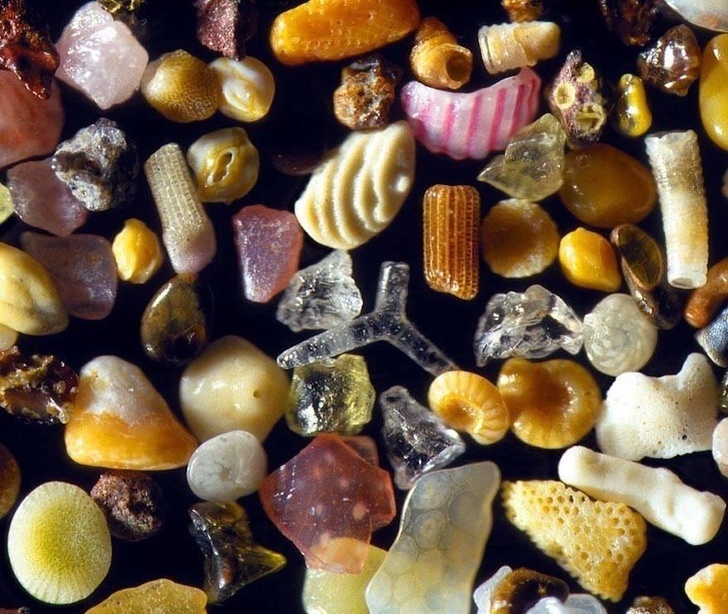 This becomes very apparent when viewing sand under the microscope – beautiful. 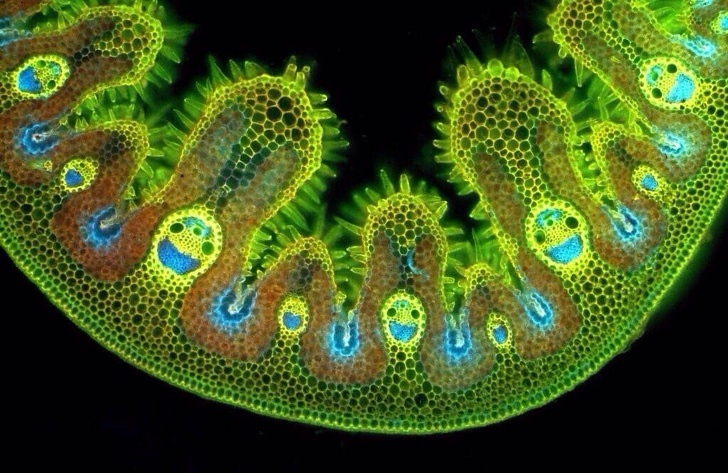 Grass is something else that we take for granted, but just LOOK at those happy faces in this blade of grass! 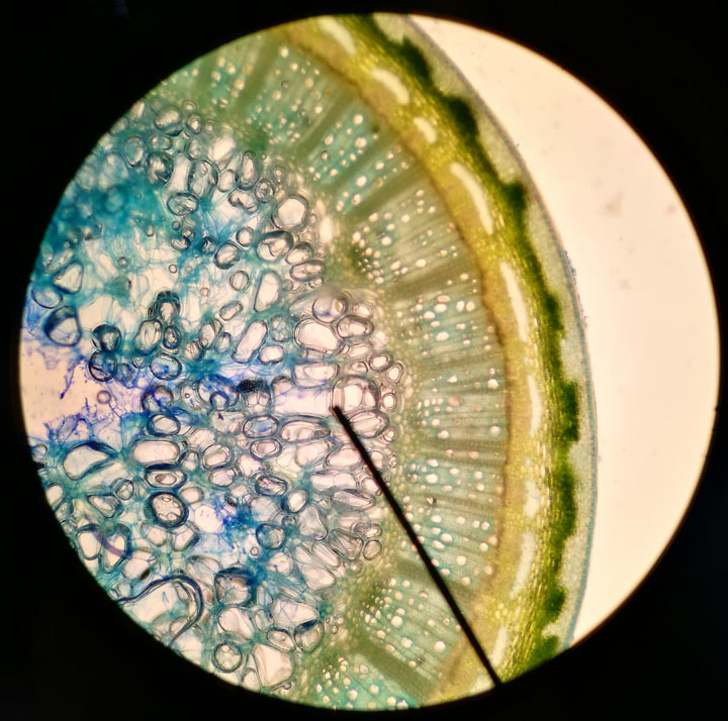 They look like a happy little chlorophyll family. 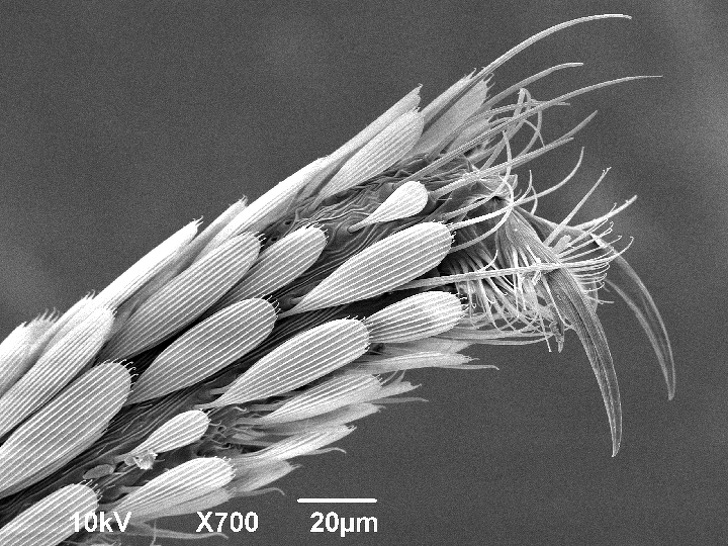 Mosquitos are pretty creepy from any angle, but this still from a microscope of a mosquito’s foot looks like something from another planet – and not one that I’d want to visit! You know when an eyelash falls off and you get it stuck on your cheek? Well, this is what you’re carrying around on your face. Pretty amazing, right? Billions of these things get used around the world every day, but this angle makes this pen tip look like a planet of its own. 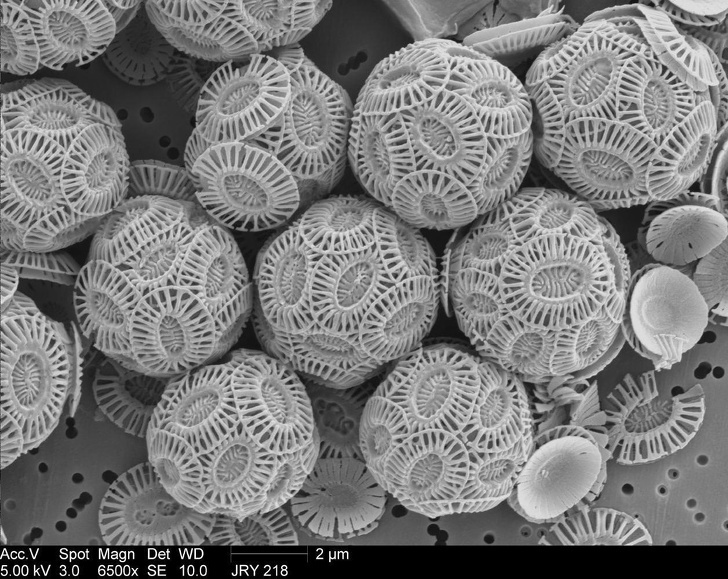 As it turns out, chalk looks like weird little bundles of wool if you examine it at the microscopic level. 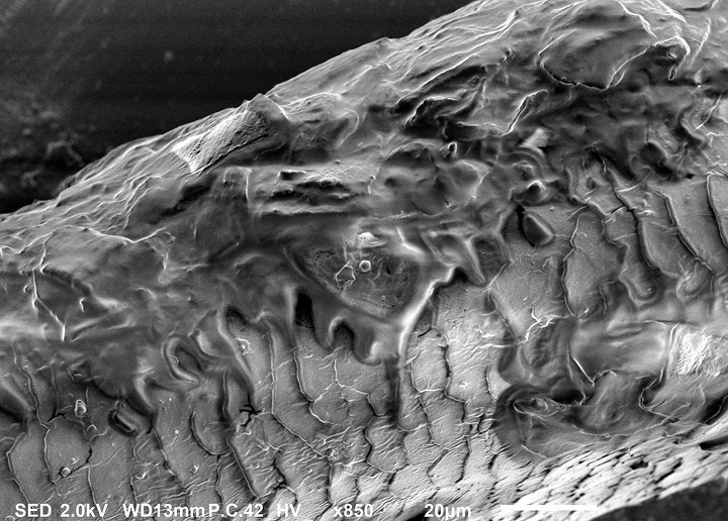 These things are creepy enough if you see them buzzing around from a distance, but this close-up of their eyes is a whole new level of gross. Yikes. 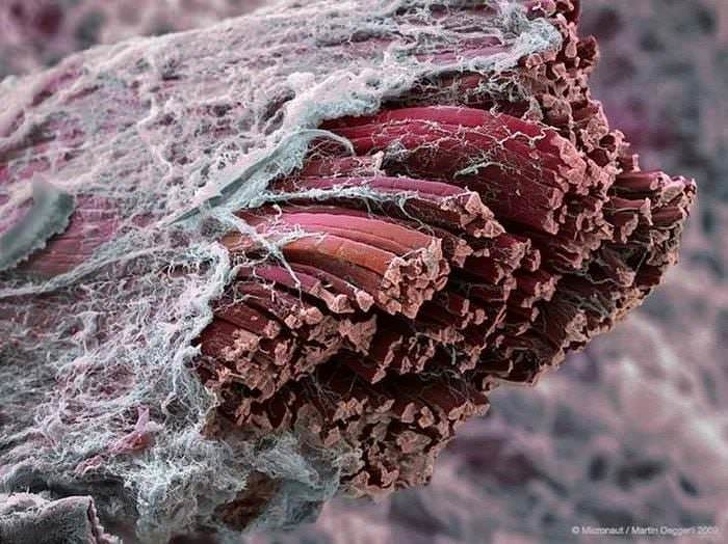 Is it just me, or does this kinda look like a bunch of beef jerky gone bad? This is definitely one of my favorites. I love strawberries, but now I almost feel bad for eating these cute little seeds. 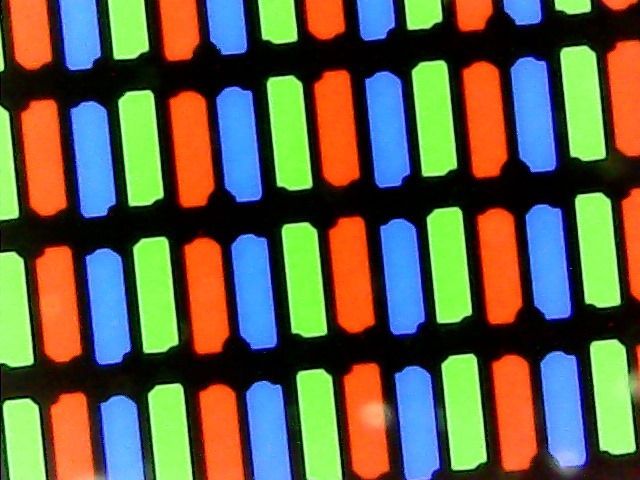 Yep, this is what our TV looks like when you get real close up. 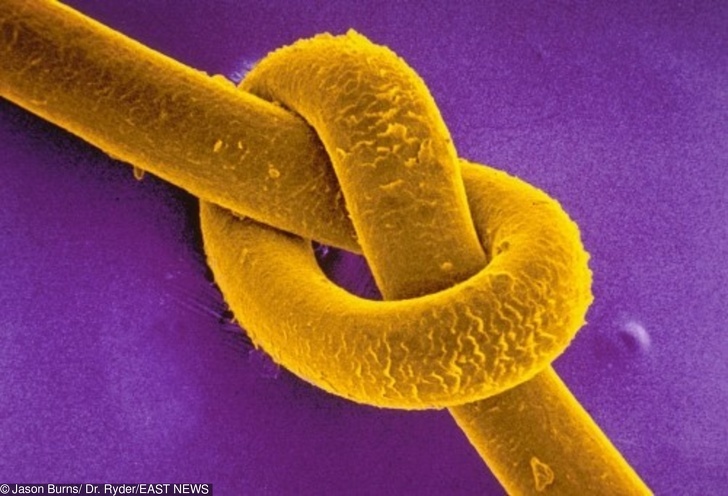 Amazing to think that these things keep us entertained for hours on end! 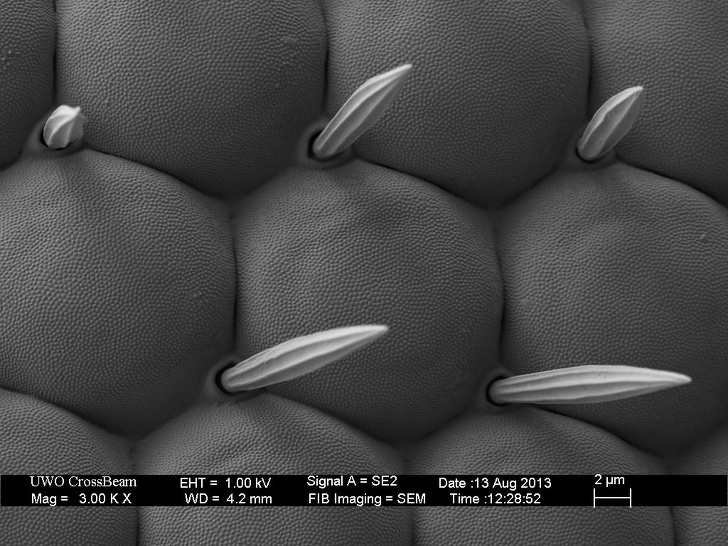 Passport size photograph of an Ant taken from an Electron Microscope. 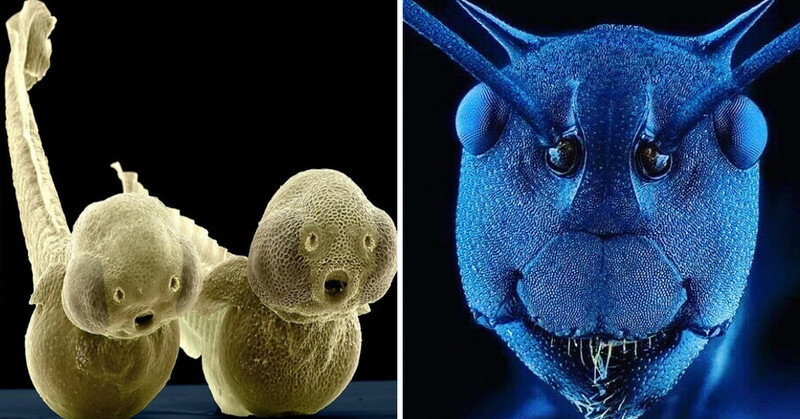 #microporn #nature #antman Tag relevant hashtags. I apologize if this gives you nightmares, folks. It looks like the mover poster for a new horror film, doesn’t it? 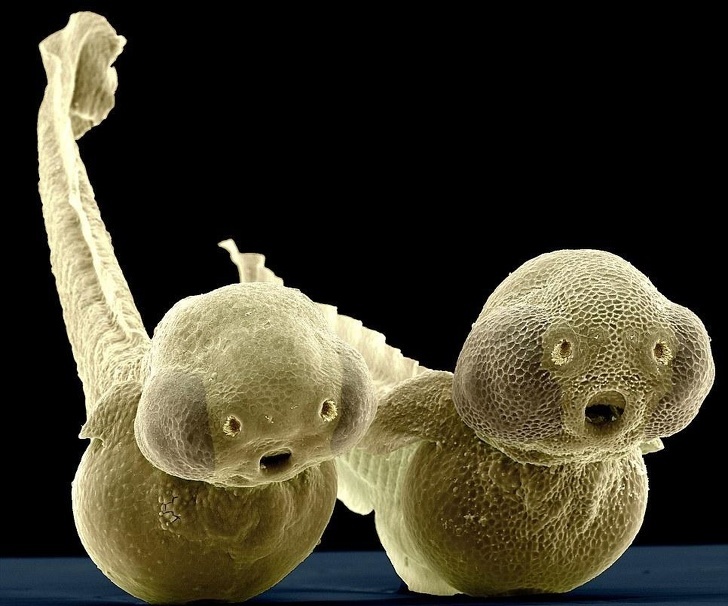 Phytoplankton is the name for the group of tiny organisms that float around abundantly in the ocean, and basically just wait to get eaten by bigger things. 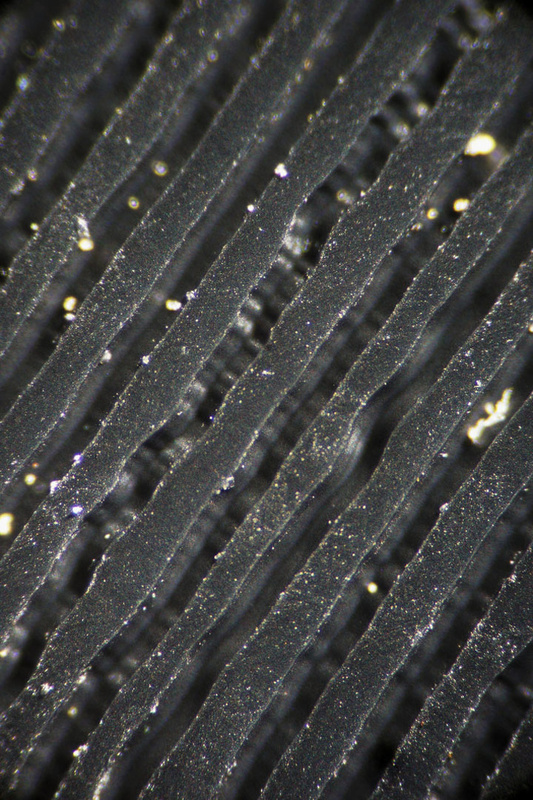 They look really cool under the microscope, though. 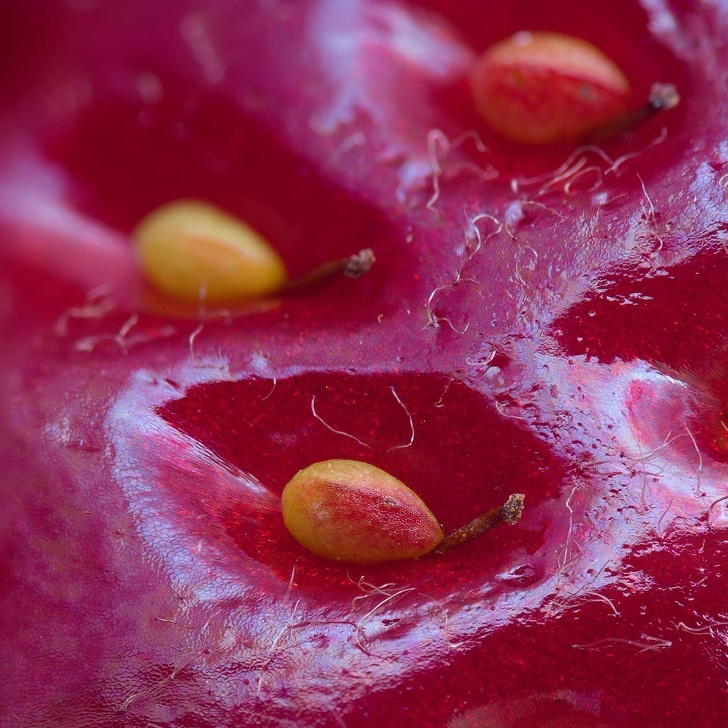 Obviously, roses are beautiful to the naked eye, but it’s really interesting to look at the more ‘mundane’ part of the flower under the microscope, and see it take on a new beauty. Wow. These things look like they belong in one of the Star Wars movies. I won’t be sleeping tonight! 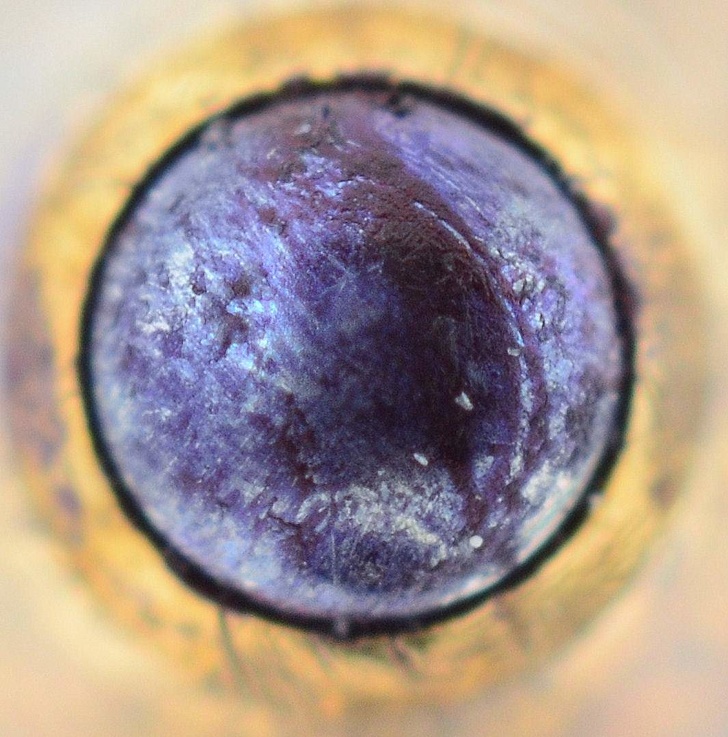 Record have given me years of joy throughout my life,but I never realized how amazing they looked this close up! 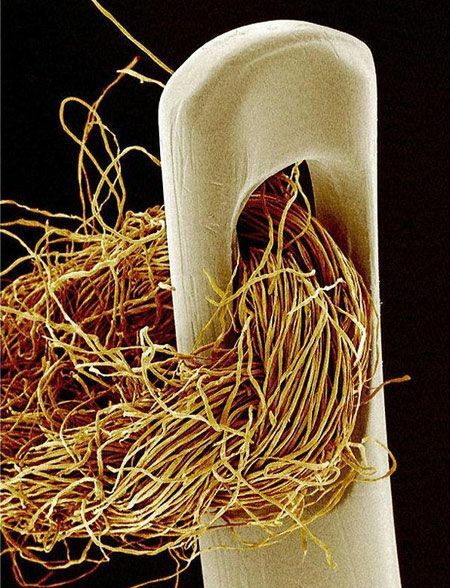 If you think about it, a sewing thread is just a really tiny rope, which becomes very apparent when seeing it under the microscope. I think this person needs a little detangling spray! Last but not least, I thought I’d leave you with a trippy one. There’s a whole world inside our gnashers!